Brian A. Jacob is the Walter H. Annenberg Professor of Education Policy and Professor of Economics in the Gerald R. Ford School of Public Policy at the University of Michigan, where he also serves as the Director of the Center on Local, State and Urban Policy. 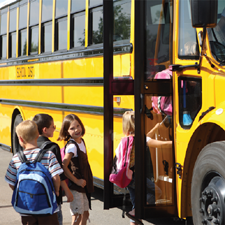 His primary fields of interest are labor economics, program evaluation, and the economics of education. Jacob’s research on education covers a wide variety of topics from school choice to teacher labor markets to standards and accountability. His work has appeared in top economics journals including the American Economic Review, the Quarterly Journal of Economics, and the Review of Economics and Statistics. Earlier in his career, he served as a policy analyst in the NYC Mayor's Office and taught middle school in East Harlem. He is also a research associate at the National Bureau of Economic Research, and a member of the editorial boards of the American Economic Journal: Applied Economics, Education Finance and Policy and the Review of Economics and Statistics. Jacob received his BA from Harvard College and his PhD from the University of Chicago. In 2008 he was awarded APPAM's David N. Kershaw Prize for Distinguished Contributions to Public Policy by Age 40. 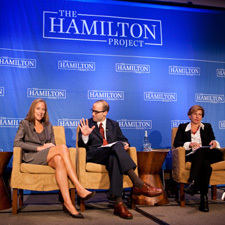 On September 27, The Hamilton Project at Brookings held a forum to highlight new policy ideas and perspectives on how to improve student performance in K-12 education. The program concluded with a discussion on the path forward in education reform with Teach for America Founder and CEO Wendy Kopp and American Federation of Teachers President Randi Weingarten, moderated by David Leonhardt, D.C. bureau chief of the New York Times.